remove enough debris to make room for trench dirt. In this photo article, I’ll show you how I managed to complete this part of the project. 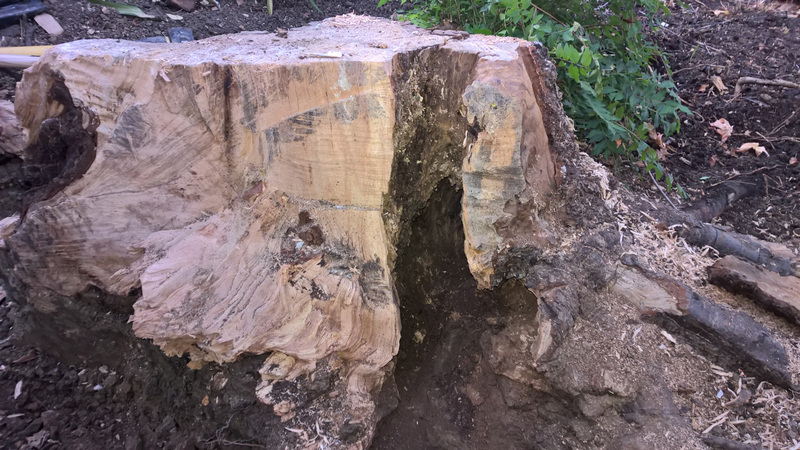 All work was done by hand, except for a little chainsaw work. Click photos for full size. AquaBlox with a 95% void. 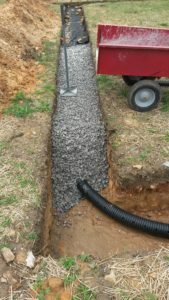 When filling a trench or building an underground cistern, there are a few options: drainage gravel sporting a 33% void or a plastic modular system with a 95% void. While seeking maximum storage potential, drainage gravel just won’t cut it. 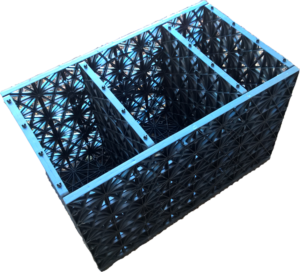 Luckily, Atlantis manufactures a plastic modular system called D-Raintank and sold through a partner vendor named AquaScape Inc who calls them AquaBlox. 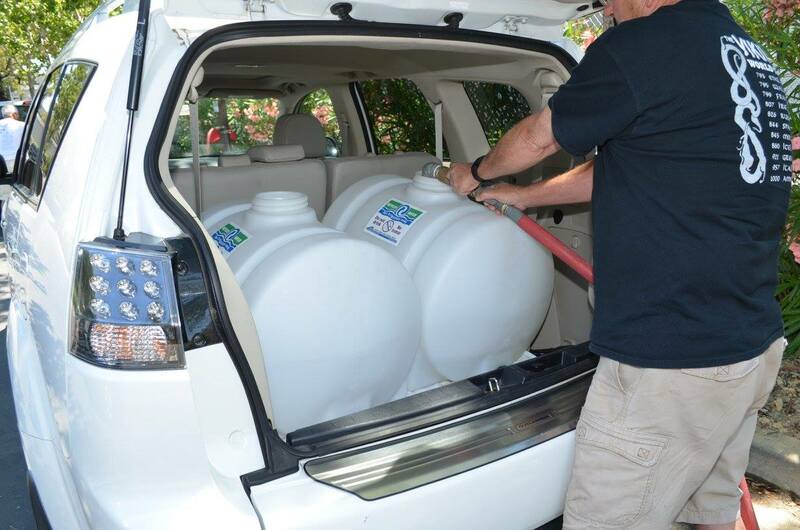 There are two sizes – small and large and are available from the local Ewing Irrigation store or available in bulk if a project needs it. 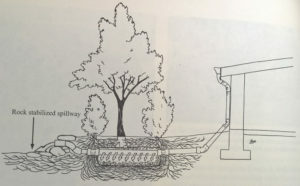 Eventual design from a Rainwater Harvesting book. 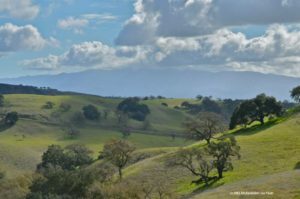 If you have been following along recently, you will have learned that Rainwater is the fountain of life, that you have the ability to Reduce Urban Runoff. The City of Santa Monica has a program designed specifically to Capture Urban Runoff with a guide and a worksheet to build the best rainwater capturing system for your site. You will heave learned that drainage gravel takes up considerable space in the ground, perhaps there are better options available? 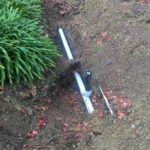 Our latest article in this series discussed placing a rainwater infiltration basin in an area away from underground utilities, on or near current drainage piping and away from high trafficked areas. With every project it is a good idea to draw up some design plans which we can utilize to properly build our system. In our article titled “Why do we talk about rainwater harvesting?”, 8 principles of rainwater harvesting are discussed, as noted from the book titled “Rainwater Harvesting For Drylands and Beyond” written by Brad Lancaster. These principles were put to use to find the best place on my property to build an infiltration basin. How much water does drainage gravel displace? All the guides I have read about building drainage trenches have all said to use drainage rock or gravel as filler. There are other options available on the market, such as a plastic matrix media, but using rock chips or rounded river rock appears to be the most common solution. But how much space does that rock take up? How much volume of water would I lose? First part of this series covers different design ideas for handling urban runoff on single family, multi-family and commercial developments. This is part 2. 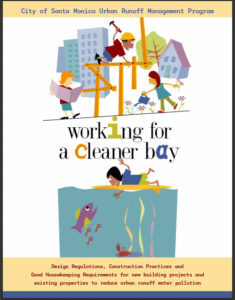 Continuing from the Santa Monica Urban Runoff Management Program, this section covers their worksheet for a variety of construction activity or for voluntary participation. 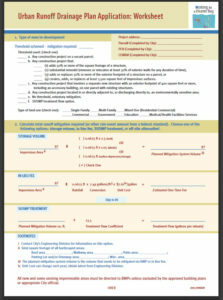 Check with your local city to determine their stormwater treatment requirements on new or redeveloped construction. In some cases, changing 2,500 sq ft of pervious ground to 2,500 sq ft of impervious ground can trigger the need for stormwater treatment construction at the job site. 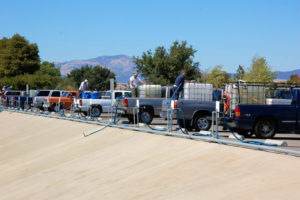 The Federal Clean Water Act, enforced by the State Regional Water Boards mandates this requirement. In many cases, a regional “Municipal Regional Permit” will hold the design requirements for following through. swales, berms, green strip filters, gravel beds and french drains. 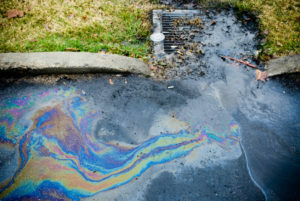 Oil runoff into a storm drain. Every time it rains, water is always seen running down street gutters, into storm basins and eventually flowing back to the ocean. Carrying away pollution and nutrients from our landscapes. 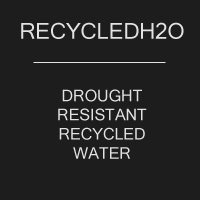 As we’ve learned about the growth potential associated with recycled water, rainwater has its own magical attributes too. A gift from the heavens and responsible for all life on the planet, what is so special about rainwater that you won’t find in drinking water or recycled water? Lets analyze the three. 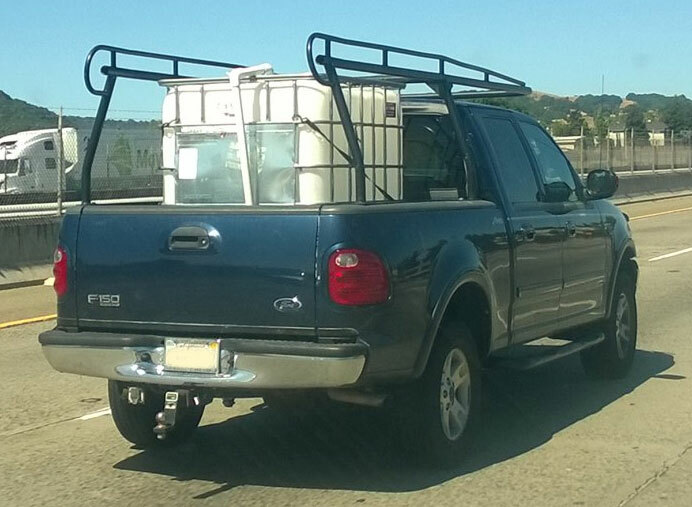 Whether you have a truck or a family car, you can haul recycled water. Check out our guides for your vehicle type.